Michigan’s pet stores are home to a selection of furry, scaly, and feathery critters looking for a home. Not only that, they’ll supply you with everything you’ll need for your pet from high-quality food options and toys, to flea treatments and comfortable beds for your pets to sleep on! Here are the 10 best pet stores in the state. Lou's Pet Shop in Grosse Pointe Woods bills itself as “the greatest pet shop in the world.” Lou's has been operating since 1970, and not only offers a range of different pets, but it also provides educational opportunities to learn more about the animals in its charge. It even has a zoological license to offer the truly unusual pets. Ann Arbor's Pet Emporium focuses on supplying current pets with an array of fun, exciting, and wholesome products. From supplements to toys to beds and beyond, the Pet Emporium keeps its shelves stocked with everything to make a pet's life better for the experience. For those who are looking for a new pet specifically, the Pet Emporium even keeps a slate of “friends” featuring adoptions of all sorts. From Airedale Terriers to Bullmastiffs and beyond, the Pet Emporium can hook you up. With three stores in Michigan—including Flint, Novi and Troy—and one in Ohio, the Family Puppy focuses on exactly what the name suggests. Also focused on a positive experience for all concerned—including the puppy—the Family Puppy works to exceed regulatory requirements in terms of breeding and care. All puppies at the Family Puppy come with microchip registry, as well as an array of veterinary care points done in advance to make sure your new friend gets the best start. Pinckney's Wild Indoors looks to deliver on giving a current pet a better life. Formed by individuals with 30 years of retail experience and 10 years of veterinary experience, they know animals, and they know customer service. That's a great combination, and what they bring to the table is even better. Check out nail trimming services, veterinary services like vaccinations, and a variety of food, toys and other options that give that special pet that little something extra. Pet Supplier in Highland goes for versatility above all, offering not only the supplies for the care and feeding of various animals but also the animals themselves. Start with fish in both saltwater and freshwater, and work your way up to the reptiles and small animals ranging from gerbils to rabbits. There's even dog and cat supplies here to make this not only a visual treat but also a worthwhile run. Preuss Pets in Lansing bills itself as a “pet store with a purpose.” And they absolutely back up this claim. Featuring birds, fish, reptiles, and small animals alongside supplies for everything therein and dogs and cats besides, the field is quite covered when it comes to animals and their relevant supplies. As for the purpose part, after-sales service and community events sponsorship combine to make an excellent overall package for the pet shopper. Pet Supplies Plus is a little something different. It's a national chain store of 331 separate locations, but one headquartered in Farmington Hills. 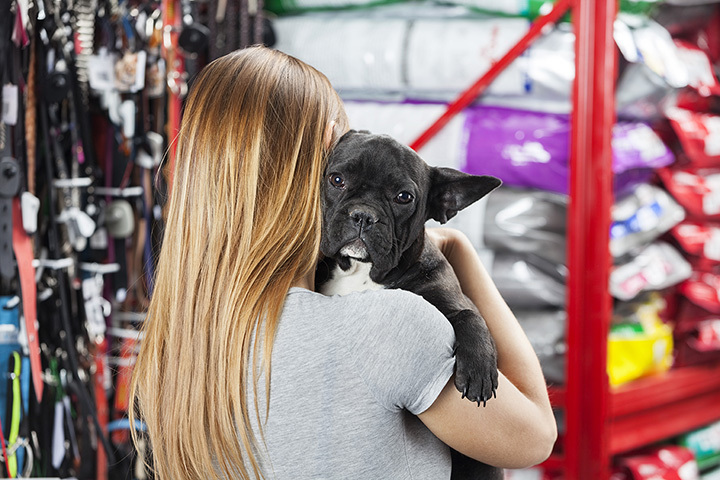 It's worth a mention, though, because it managed to land the number four slot on Pet Business' Top 25 Pet Retailers in North America study, along with a berth on Franchise Times' Top 200 list, first among pet-related franchises. What gives it this rank? Start with its array of products and then step up to its resource center offering reams of information on the animal kingdom and it's easy to see why this is a well-traveled pet shop. Pets are the passion at Redbird Pet Emporium in Mount Pleasant, and it will quickly become clear why once you walk in the door. Not only are there plenty of supplies and food varieties to choose from, but there are even perks to being a customer in the form of discounts for Fancher card holders and other bonuses. Throw in a slate of specials and discounts and the value of Redbird Pet Emporium becomes pretty clear pretty fast. Just to top it off, Redbird is even ranked a Most Trusted Pet Nutritionist by the WCFX network. Pets Naturally in Traverse City offers something of an upscale experience. It's not only a health food store for the pet set, but it's also known for offering all its products made either domestically or comparatively so, with sources in the United States and Canada. Throw in a set of community sponsorships, special events, and even a pet-related blog to offer further information about our furry friends, and Pets Naturally proves its worth in grand fashion. Bark's Fifth Avenue in Kalamazoo offers something downright novel in its operations. While it's got much of the standard pet store material, it's making it clear it's a small business. Thus, it doesn't offer big quantities of name brands, but rather a constantly-shifting selection of small-batch materials. It also focuses on services, delivering such things as pet birthday parties, puppy showers, and even play dates for the pups in question. Grooming services are also on hand, making Bark's Fifth Avenue a complete and somewhat upscale experience.